More than 50 thousand board takers of Nurse Licensure Examination (NLE) held December 16-17, 2012 could expect official release of nursing board exam by the last week of February 2013 or by February 26-28, Philippine Information Agency (PIA) said in an article written by Carlito C. Dar last December 20, 2012. PIA is an agency of the government (pia.gov.ph) created under Executive Order No. 100 with a mission to provide free flow of accurate, timely and relevant information. "The result of the NLE exam is expected to be released by the Board of Nursing by the last week of February 2013. ", Dar said. If we are going to compute for the total number of days after the last day of exam considering the statement of PIA-CAR, results will be released after 46-48 days. The consideration is December 26-28 are regular days and February 25, 2013 is a special holiday. Based from the past examinations, results are being released after 40~45 days with more than 60 thousand board takers. The article reports successful conduct of nurse licensure exam by PRC Baguio Regional Office. PRC-Baguio Regional Director Teofilo Gaius Sison Jr. said that 7,567 nursing graduates took the NLE: 3,568 took their exam in Baguio City; 1,744 in Dagupan; 1,405 in Cabanatuan; and 850 in Laoag. The total number of takers handled by PRC Baguio RO is around 15% of 50,183 that took December 2012 NLE- nursing board exam. The recently held NLE is the second nursing board exam conducted by PRC this 2012. Last August 23, 2012, PRC named 27,823 out of 60,895 (45.69%) new nurses for June-July Nursing Licensure Examination(NLE). If you find this informative, we encourage that you bookmark this page for more updates. TheSummitExpress will also provide here results of December 2012 NLE exam - list of passers, top 10 and top performing schools. Share now this post on social networks for your co-takers' reference. Office of the president revealed the signed RH Bill RA 10354 law after Deputy Presidential Spokesperson Abigail Valte published statement online via the Official Gazette December 29, 2012. Pnoy approved the controversial law last December 21 according to the official statement. "Today, Republic Act No. 10354, or the Responsible Parenthood and Reproductive Health Act of 2012, has been published online in the Official Gazette, after being signed by President Aquino on December 21, 2012. The law will take effect 15 days after its publication in at least two newspapers of general circulation. ", Valte said. The Philippine Senate and House of Representatives separately approved the RH Bill on third and final reading last December 17. After two days, RA 10354 was approved by the bicameral conference committee and immediately ratified by the legislative bodies. "The passage into law of the Responsible Parenthood Act closes a highly divisive chapter of our history—a chapter borne of the convictions of those who argued for, or against this Act, whether in the legislative branch or in civil society. At the same time, it opens the possibility of cooperation and reconciliation among different sectors in society: engagement and dialogue characterized not by animosity, but by our collective desire to better the welfare of the Filipino people." This is the mark of a true democracy: one in which debate that spans all levels of society is spurred by deeply-held beliefs and values, enriching and elevating public discourse, as we all work together to find ways to improve the lives of our fellow citizens. See full text here of the Responsible Parenthood and Reproductive Health Act of 2012 signed by President Benigno Aquino III. Manila, Philippines- After fourteen years of waiting for the reproductive health (RH) bill approval into law, President Benigno Aquino III finally signed the Republic Act No. 10354 or "An Act Providing for a National Policy on Responsible Parenthood and Reproductive Health" December 21, 2012. Here is the full text of confirmation from gov.ph. Two days after the successful nationwide showing of 2012 Metro Manila Film Festival (MMFF) for eight official entries on mainstream, winners were revealed at awards night held in Meralco Theather, Pasig City December 27, 2012. Mark Meily's 'El Presidente', Brillante Mendoza's 'Thy Womb' and Ruel S. Bayani's 'One More Try' got the big awards this year. Winners of the Cinephone and Feature Films were also announced. Awarded director Brillante Mendoza was hailed best director by MMFF for "Thy Womb". For second consecutive year, Dingdong Dantes got Best Actor Award for superb performnace in "One More Try". It was noted that three films this year - "Agimat", "Strangers" and "Sosy Problems" did not received any awards. MMFF 3rd Best Picture: "Sisterakas"
MMFF 2nd Best Picture: "El Presidente"
MMFF Best Picture: "One More Try"
MMDA started the program at 5 pm with delayed telecast on TV5, Philippines third-largest television network. Kris Aquino and KC Concepcion, ABS-CBN artists hosted the awards night. On the other hand, Star Cinema once again dominates and reign supreme on box office for Comedy movie 'Sisterakas' and good turn-outs for romance drama film 'One More Try'. "The Wenn V. Deramas-directed film "Sisterakas" continues to rank first in the list of the highest-earning film entries to the yearly film festival, two days since all eight participating movies opened Christmas Day in theaters nationwide. ', ABS-CBN news said. According to MMDA, the comedy film earned P71.2 million for two days of nationwide screening with widened lead over the earnings of "Si Agimat" with P47.4 million. The Ruel Bayani-directed film, which is also a Star Cinema entry, has grossed P24.3 million in Metro Manila as well as provincial theaters as of Wednesday. "Sisterakas" has a first-day earnings of P39.2 million ahead of P10 million earnings from "Si Agimat". 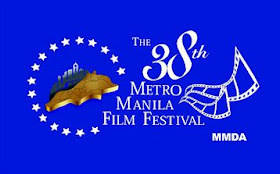 The mainstream for the 38th Metro Manila Film Festival are the following: 'The Strangers' from Quantum Films, 'El Presidente' from Scenema Concept Int. Inc., 'Thy Womb' from Center Stage Productions and Solar Entertainment, 'Sisterakas' from Star Cinema and Viva Films, 'One More Try' from Star Cinema, 'Si Agimat, Si Enteng at si Ako' from Imus Productions and GMA Films, 'Sosy Problems' from GMA Films and 'Shake Rattle and Roll 14' from Regal Entertainment Inc.
Leader in sports coverage, ESPN on it's website reveals 'the boxer of the year' award for 2012. Dan Rafael of ESPN.com honors "The Filipino Flash" Nonito Donaire for the title. "It might sound strange, but no, Manny Pacquiao was not the best fighter from the Philippines in 2012. That honor goes to "The Filipino Flash," junior featherweight titlist Nonito Donaire, who had a year for the ages. ", Rafael said. Donaire is a four-division world champion and the reigning WBO, The Ring and WBC Diamond Super Bantamweight Champion before his very busy schedules of 2012. He vacated bantamweight belts this year for junior featherweight fights. Powerful and brainy Nonito set standards for knocking out 2 out of 4 opponents on his elite championship this year. He is the only fighter in the world who has signed on with the Voluntary Anti-Doping Association for random urine and blood testing 24 hours a day, seven days a week, 365 days a year, ESPN said. Among his contenders for 2012 are Wilfredo Vazquez Jr. of Puerto Rico, South Africa's Jeffrey Mathebula, Toshiaki Nishioka of Japan and Jorge Arce of Mexico. ESPN also listed Juan Manuel Marquez, Danny Garcia, Robert Guerrero, Leo Santa Cruz, Andre Ward, Carl Froch, and fellow Filipino Brian Viloria as candidates for 2012 'boxer of the year' award. Last year, it was Andre Ward of America got the highly anticipated title. On the other hand, 'Pinoy Pride' Manny Pacquiao was named 'boxer of the year' for two consecutive years- 2008 to 2009 and last 2006. Sixteenth storm that enter PAR for 2012, "Quinta" was downgraded to tropical depression Wednesday morning after making 6 landfalls in Visayas region, PAGASA announced. The Philippine weather bureau also released latest update as of 5 pm today. At 5:00 p.m. today, 26 December 2012, the center of Tropical Depression "QUINTA" was estimated 80 km East of Coron, Palawan (12.0°N, 121.0°E). Strong to gale force wind is expected to affect the seaboards of Luzon and Visayas. 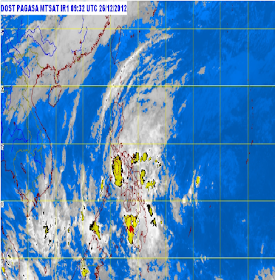 MIMAROPA and Western Visayas will experience rains with gusty winds. CALABARZON, Bicol Region and Eastern Visayas will have cloudy skies with moderate to heavy rainshowers and thunderstorms which may trigger flashfloods and landslides. The rest of Visayas and Mindanao will experience light to moderate rainshowers or thunderstorms. 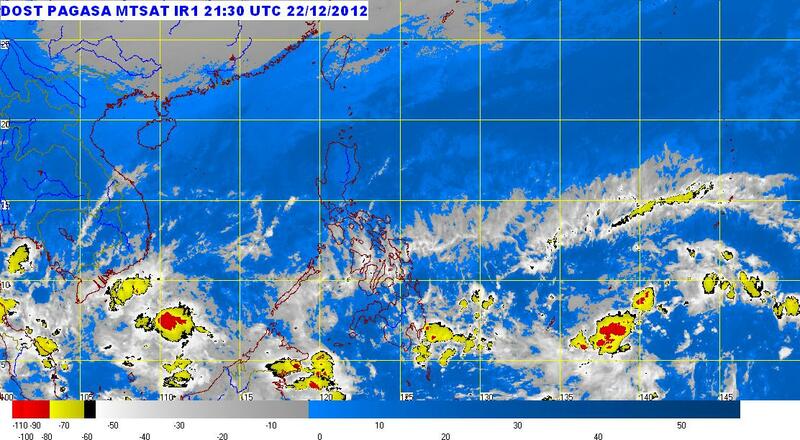 Metro Manila and the rest of Luzon will be cloudy with light rains. The coastal waters throughout the archipelago will be moderate to rough. PAGASA updates can be received now on SMS, text ULANREGNAME/ADDRESS/AGE and send to 717-ULAN (7178526) for Smart subscribers only. Visit this website for more updates online. It's very important to have good weather on Christmas Day to maximize our celebration of this special season in the Philippines. However, PAGASA on December 23, 2012 5:00 am bulletin said that there's a Northeast Monsoon Affecting Luzon and Intertropical Convergence Zone (ITCZ) affecting Southern Mindanao. The weather bureau said that it's most likely there's no typhoon on Christmas Day but expects December 25 will be rainy. Weather Central said that Eastern Visayas, Northern Mindanao and the regions of Caraga and Davao will have cloudy skies with light to moderate rainshowers and thunderstorms. Cagayan Valley and the provinces of Aurora and Quezon will experience cloudy skies with light rains. Metro Manila and the rest of the country will be partly cloudy with brief rainshowers or thunderstorms. Moderate to strong winds blowing from the northeast will prevail throughout the archipelago and the coastal waters will be moderate to rough. Strong to gale force wind is expected to affect the seaboards of Northern Luzon and the eastern seaboard of Central and Southern Luzon, Eastern Visayas and Eastern Mindanao. In a special weather outlook during Christmas holidays (December 21-25, 2012) issued by PAGASA, it says that the tail-end of cold front and Northeast monsoon are the dominant weather systems to affect most parts of Eastern Luzon, Eastern Visayas and Mindanao. Frequent rains will prevail over the provinces of Surigao, Davao, Leyte and Samar beginning on the 24th and until Christmas day due to the approach of a Low Pressure Area. The eastern section of Northern and Central Luzon will have light rains associated with the Northeast Monsoon. The rest of the country will have good weather conditions apart from passing showers. Fishing vessels and other sea crafts over the seaboards of Luzon and Visayas are alerted against big waves generated by the monsoon surge with wave heights of 3-6 meters. Residents living in low-lying areas of Mindanao are advised to take precautionary measures against flash floods and landslides. No tropical cyclone formation is expected during the outlook period. Psy - 'Oppa Gangnam Style' MV reaches 1 billion views on Youtube! The prediction that 'Psy's Oppa Gangnam Style' music video on Youtube will reach 1 billion views on December 21, 2012 is now a reality. It's official, worldwide dance craze jump up to a record that Nostradamus predicted. Although its December 22 already in Philippine Time but in most part of the world (North and South America), current time is still December 21. It's already a buzz in social media that hitting 1,000,000,000 views relates to 'end of the world'. Here's the excerpt of Nostradamus prophecy on Doomsday. "Psy's success is a great testament to the universal appeal of catchy music -- and er, great equine dance moves," Kevin Allocca, YouTube trends manager, said in a blog post. "In the past, music distribution was mostly regional. It was more difficult to learn about great artists from around the world. But with a global platform at their fingertips, people are now discovering and sharing amazing music from all over the planet." In more than 5 months alone, Psy is considered the Youtube King surpassing total views of Justin Bieber's 'Baby' last November 24. Psy also holds the record of most -like video on Youtube. It enters the Guinness Book of World Records last September 20, 2012 after exceeding the total likes of LMFAO - Party Rock Anthem. At the time of posting, total Likes is around 6.1 million. It's a triple celebration for Psy definitely. Along with the celebration of billion views, Youtubers are happy on this great achievement of the Korean rapper. Many says that Gangnam is now road to 2 billion views. Congratulations Psy and to all K-Pop fans around the world for making the history! BEIJING, China—Apple on Monday, December 17, 2012 announced it has sold over two million of its new iPhone 5 in China, just three days after its launch on December 14. iPhone 5 will be available in more than 100 countries by the end of December, making it the fastest iPhone rollout ever. 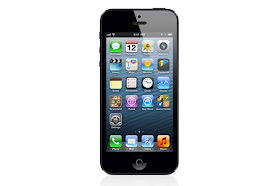 Last December 14, iPhone 5 was unveiled also in the Philippines along with the release in China. No exact figures up to now from the exclusive partners of Apple in the country, Globe and Smart for the total of iPhones sold in the market. iPhone 5 is the thinnest and lightest iPhone ever, completely redesigned to feature a stunning new 4-inch Retina® display; an Apple-designed A6 chip for blazing fast performance; and ultrafast wireless technology*—all while delivering even better battery life. iPhone 5 comes with iOS 6, the world’s most advanced mobile operating system with over 200 new features including: Shared Photo Streams, all-new Maps app, Passbook® organization and even more Siri® features and languages including Mandarin. Nonito “The Filipino Flash” Donaire on Sunday Philippine Time knocked-out Mexican boxer Jorge Arce in a fight tagged as Demolition Day held in Houston Texas. Nonito which is in control of his fight for the world boxing championship knocked-down Arce in Round 3. The latter received second KO at 2:59 seconds at the 3rd round. A solid upper-cut was released by Donaire that caused his fall. 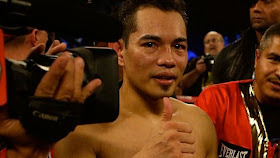 Before this battle, Donaire defeated South African Jeffrey Mathebula last July and Japan's Toshiaki Nishioka in October after taking the title with a split decision last February over Puerto Rico's Wilfredo Vazquez. Nonito Donaire's record improved to 31-1-0, 20 KOs while Jorge Arce's record now goes 61-7-2, 46 KOs. With Donaire's spectacular win today, he might be a candidate for "Fighter of the Year". Arce already announced after the fight that he will retirand said he would take care of his family. Pain of last week was redeemed through Donaire's win. Filipinos are now celebrating for the victory that uplift our pride in the boxing sports. In the same day last week, People's champ Manny Pacquiao was defeated by Juan Manuel Marquez via knock-out at round 6. Billboard.com on mid-December releases the list of chart toppers of 2012 dubbed as "The Best of 2012: The Year in Music". Adele, six Grammy Awards winner and Guinness World Records holder of 2012 holds the top artist of the year, Billboard 200 album and artist and Digital Albums of the Year. Newcomer One Direction topped on New Artist list while Rihanna leads on Hot 100 Artist. 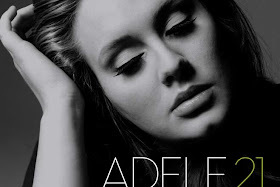 Adele Laurie Blue Adkins better known as Adele success for 2012 is a result of her hit second album titled '21' early of 2011. The album has also helped her receive numerous other awards, including two Brit Awards and three American Music Awards. The album has been certified sixteen times platinum in the UK; in the US the album has held the top position longer than any other album since 1985, and is certified Diamond. The album has sold 25 million copies worldwide. Rihanna was named leader on top Hot 100 artist after a year of chart-topping hit singles such as “We Found Love” and “Diamonds” on the Hot 100 chart, which measures top-selling singles each week. Billboard Charts are calculated using custom formulas collecting sales, streaming and radio play. The complete Hot 100 and Billboard 200 charts are available each week, Billboard.com said. Billboard.com presents more than 100 year-end lists for 2012 (with 440-plus rankings available at billboard.biz/charts and almost 300 in the year-end print magazine, available today). Joining the chart lineup in 2012 was On-Demand Songs. VIEW COMPLETE LIST OF CHART TOPPERS FOR 2012. On Friday, the rumor about 'end of the world' creates buzz online and have been headlines on different news programs. Psy's worldwide hit Oppa Gangnam Style is now interconnects with Nostradamus prediction of end of the world. On the other side, Mayan apocalypse is also getting popular- is it end of Mayan calendar or end of the world? The passage is now being linked to Oppa Gangnam style video which is predicted to reach 1 billion Youtube videos on December 21, 2012. The 'calm morning' is being described as the theme of Gangnam Style and also refer to Korea which is tagged as "The Land of the Morning Calm". 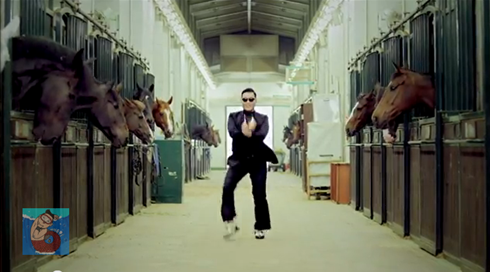 The 'dancing horse' relates to Psy's dance moves. The number of 0 in 1 billion is 9. 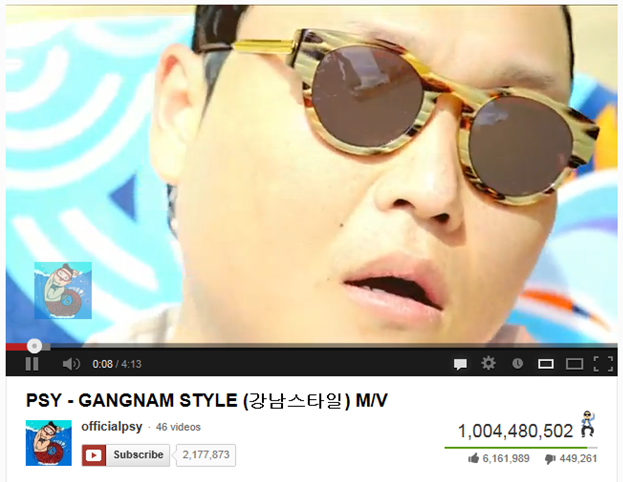 As of this writing, official music video of Gangnam Style reached 946,918,789. Few thousands left for billion views. As per checking of the rate of increase of views, per day increment is about 6 million. Computing for the days remaining (as of this posting) and multiplying with the rate, it is about 48 million or 0.995 billion total views by 12.21.2012. Michel de Nostredame known as Nostradamus is a French apothecary and reputed seer who published collections of prophecies that have since become famous worldwide. Some of the events he predicted were Princess Diana's death, September 11 Twin Tower Attack and US President Kennedy's assassination. On the other side, the end of the Earth possibility is also studied by NASA. NASA concludes that 21st December 2012 it will be nothing more than a normal December solstice. The video says: "If you're watching this video, it means one thing: the world didn't end yesterday." According to media reports of an ancient Mayan prophecy, the world was supposed to be destroyed on December 21 2012. "But look around you. The whole thing was a misconception from the very beginning." Dr John Carlson, director of the Centre for Archaeoastronomy, said the Mayan calendar did not end on that date and that the Mayans had never predicted the world would end then. He iterates that their calendar simply 'rolls over' on December 21 2012. Between December 10 and 22, North Korea is expected to launch a rocket on space to place satellite in orbit. On December 20, 2012, a day before the allegedly end of the world, Psy is set to perform in the Philippines for one-night Gangnam party at MOA Concert Grounds. What do you think of the intersection of Religion, Science, and Prophesies, do you feel some fear on Nostradamus predictions and the Mayan apocalypse?Tell us your thoughts. Manila, Philippines - Dominant wireless company, Smart on Friday at exactly 12:01 unveiled the most sought-after smartphone of 2012, the iPhone 5. 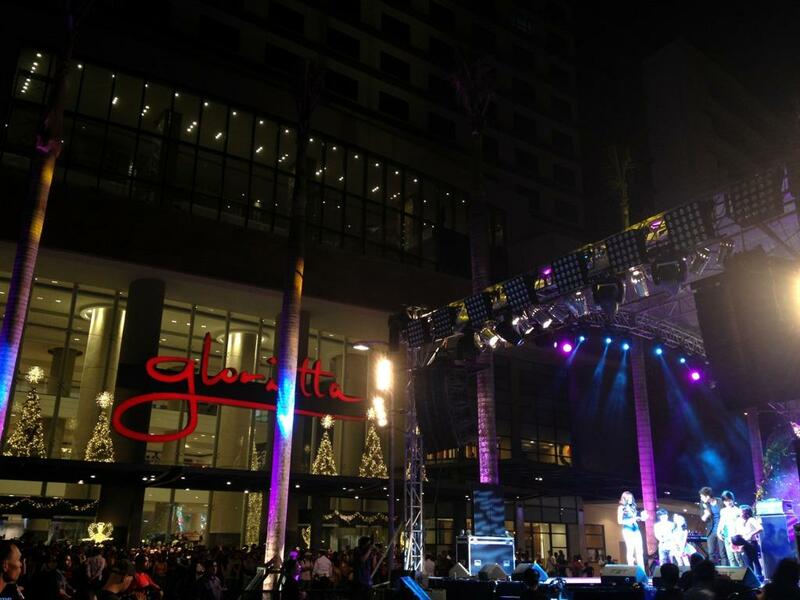 Christmas Midnight Rush party held at Republiq, Resorts World Manila, Pasay City with a big bang. Twitter Philippines and Worldwide trending topics however was dominated by Smart as 9 simultaneous events happened around the country for the gadget madness. Photo: Smart iPhone 5 is officially and finally out! Sam Oh, television host and a Korean expatriate hosted the main event together with BNO guys and Ramon Bautista. Particulary, the netizens enjoyed Boys Night Out's lotto game on Twitter in relation to the release of iPhone 5. DJ's Slick Rick (Eric Virata), Tony Toni (Anthony James Bueno) and Sam YG (Samir Gogna) of Magic 89.9 FM administered the crazy game around 7pm, December 13 with millions of netizens had joined the contest. 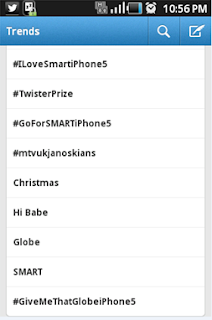 Starting 8PM, #SmartiPhone5BNOLotto captured no.1 trending slot both on local and worldwide. Around 11 PM, a winner who got lucky combi was announced. It's the first time that a free lotto happened on Twitter and served as good marketing strategy to highlight the event just for fun. ﻿﻿﻿﻿Along with #SmartiPhone5BNOLotto, #iLoveSmartiPhone5, #GoForSmartiPhone5 also trends consistently on top. Globe on the other hand scores a little on the trend spots with #GiveMeThatGlobeiPhone5 and #High5forGlobeiPhone5. Marketing department of Globe should work something to trend better. Just for my opinion! Spotted at the event are famous techno bloggers, celebrities, geeks and early adopters of Smart iPhone 5. 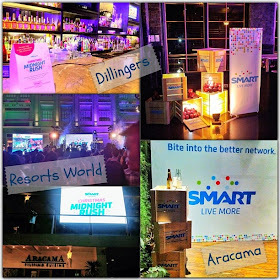 They preferred to live more and join more with Smart than Globe's simultaneous unveiling at Glorietta Vibe Makati. 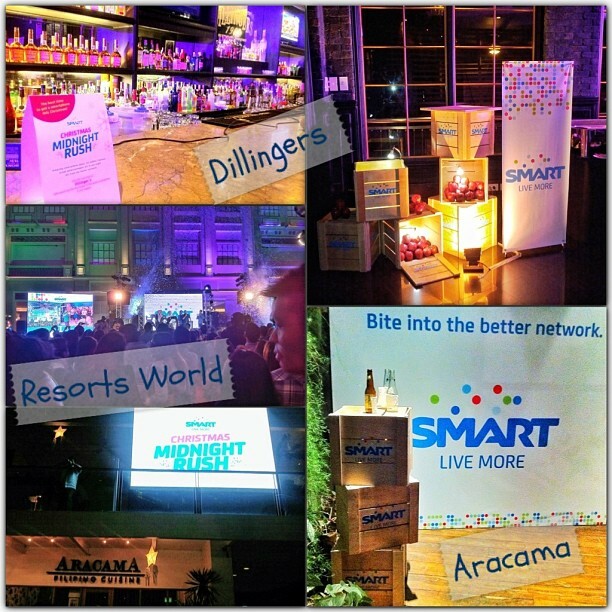 Aside from the main venue of launch, Smart also covers the following locations to experience and bite with the better network: Reserve in Ortigas, Dilingers in Makati, Trilogy Boutique in Alabang Town Center, Jack’s Loft in Eastwood, Penthouse in Cebu City, Starr in Davao City, and the Smart stores located in Greenhills, San Juan, and Limketkai, Cagayan de Oro. iPhone 5 dubbed as the thinnest and lightest iPhone is now available in Smart and Globe Stores nationwide. Check out iPhone 5 pricing in the Philippines and specs.